The Los Angeles Lakers travel to the Bankers Life Fieldhouse Stadium, to take on a declining Indiana Pacers. The Indiana Pacers have been struggling to live up to expectations ever since Victor Oladipo went down and are currently 4th in the Eastern Conference, with a 34-19 record, having won 5 of their last 10 matches. 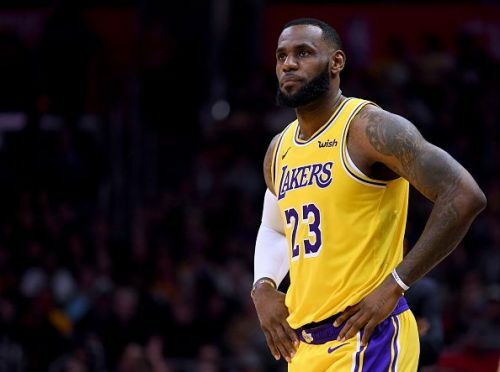 The Los Angeles Lakers were playing really well before LeBron James got injured and though he has only just returned, they are yet to play at their best. The Lakers have fallen to the 10th spot in the Western Conference, with a 27-26 record, and have won just 4 of their last 10 games. The Lakers lost their most recent game, 101-115 to a rampant Golden State Warriors, while the Indiana Pacers won a tough 109-107 game against the New Orleans Pelicans. Indiana Pacers: Guard Victor Oladipo is considered out for the season with a knee injury, while forward Doug McDermott is a day to day with a rib injury. Los Angeles Lakers: Guard Lonzo Ball is out with an ankle injury, while guard Josh Hart is considered day to day with a knee ailment. Forwards LeBron James and Kyle Kuzma are both considered day to day with a groin and a hip injury respectively. Center Ivica Zubac is considered day to day as well with a finger injury. The Indiana Pacers have been left with a giant Oladipo-sized hole. Since then, a lot of usage has popped up for the rest of the players on the Pacers team and the one star to watch out for is Myles Turner. Apart from being a defensive force, Turner has been playing well of late on the offensive end as well. He is averaging 13.2 points, along with 7.2 rebounds and 1.7 assists a game. His defensive numbers have been off the charts, with Turner grabbing an eye-popping 2.6 blocks a game, along with 0.7 steals a game as well. The Lakers, who are anyways a bit short on competent centers, might face a tough time managing Turner. Last game stats: 15 points, 5-17 FG, 9 rebounds, 1 assist, 2 steals, 3 blocks and 2 TOs against the New Orleans Pelicans. You can never count out one of the greatest players to ever play in the NBA. After missing a career high of 17 games with a groin injury, LeBron James is set to return against the Pacers and will be looking to take off from where he had left off. James is quite notorious for flipping a switch around the time he needs to make a playoff push, which is exactly where the Lakers are right now. This season, LeBron is averaging 27.2 points per game, along with 7.2 assists and 8.5 rebounds per game as well. This is the time where LeBron tends to change gears and Pacers will have a tough ask, trying to contain him tomorrow. Last game stats: 24 points, 9-22 FG, 9 assists, 14 rebounds, 1 steal and 4 TOs against the Los Angeles Clippers. The Los Angeles Lakers will overcome the Indiana Pacers in a close matchup. The Lakers, even though they are on a losing streak and not looking in good shape, have a returning LeBron James, who is ready to take it to the next level and push them into the playoff picture again. 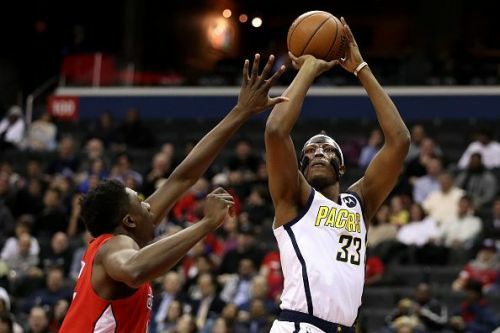 The Indiana Pacers seem to be scrambling without Victor Oladipo and it does not look like they will be able to make much of an impact in the rest of the season.